I hope you had a nice weekend! Michael and I spent Friday night celebrating a friend’s birthday at Baby Wale and hit up a new-to-us restaurant, Little Serrow, on Saturday, which has been on our list forever! It didn’t disappoint. Along with those outings, we’ve been on a movie kick the past few weekends. This weekend we checked off Hell or High Water and Up In the Air. Have you seen either?! Both were actually really good, although I think I’d pick Up In the Air if I had to choose. Now onto this outfit. 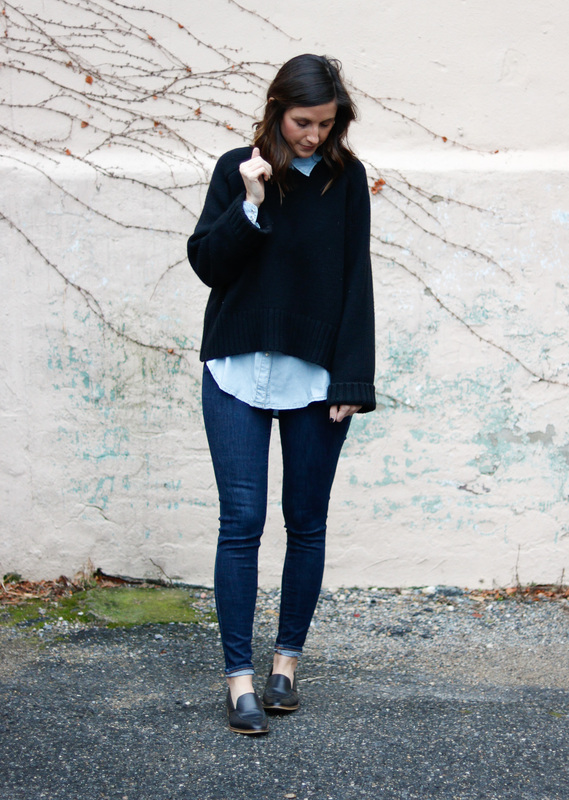 You may remember my Everlane sweater from this post. I wanted to share a more casual way to style it to show you just how versatile it is. 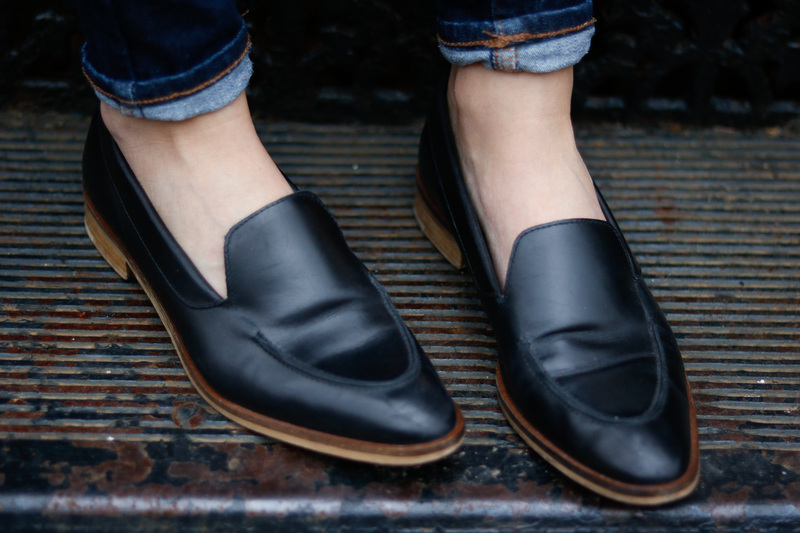 You could even switch out the denim for black skinny pants and have the perfect work ensemble! 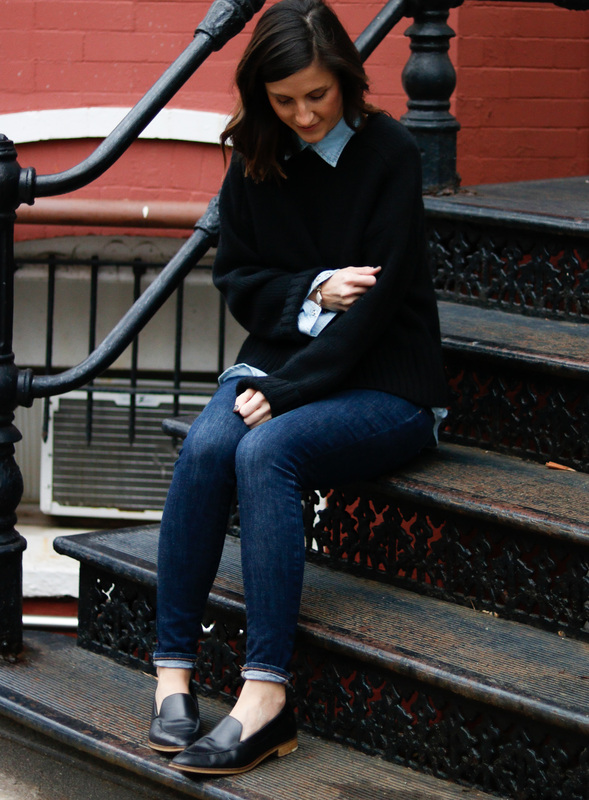 I love the layered look with the chambray button-up underneath (also another layer for when it’s chilly out!). 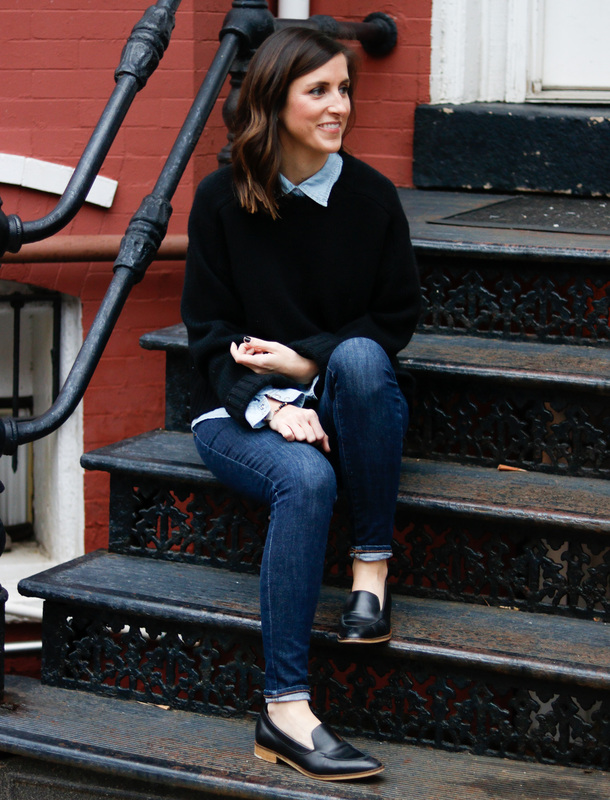 I paired this look with my classic black loafers (Everlane too!). Also of note, this dainty bracelet designed by a local (to D.C.) jewelry designer. 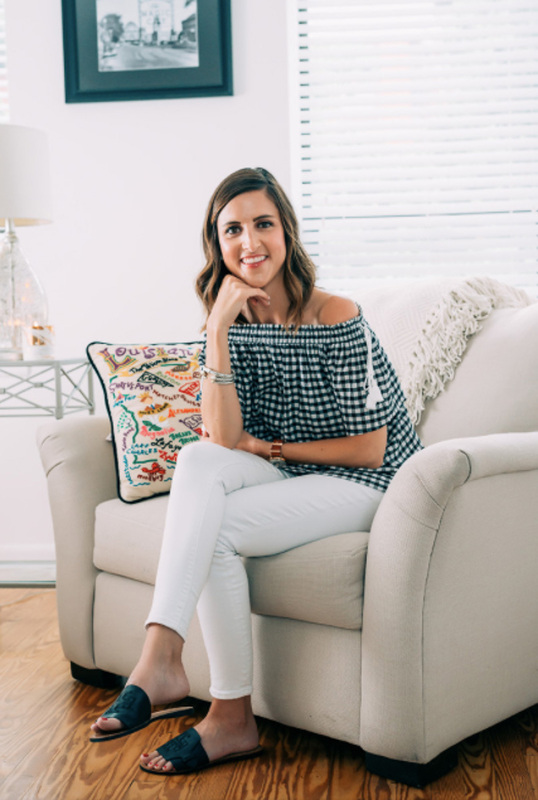 I love all of her unique pieces, and of course my black and white piece pairs perfectly with my closet full of neutrals! I love this outfit on you! 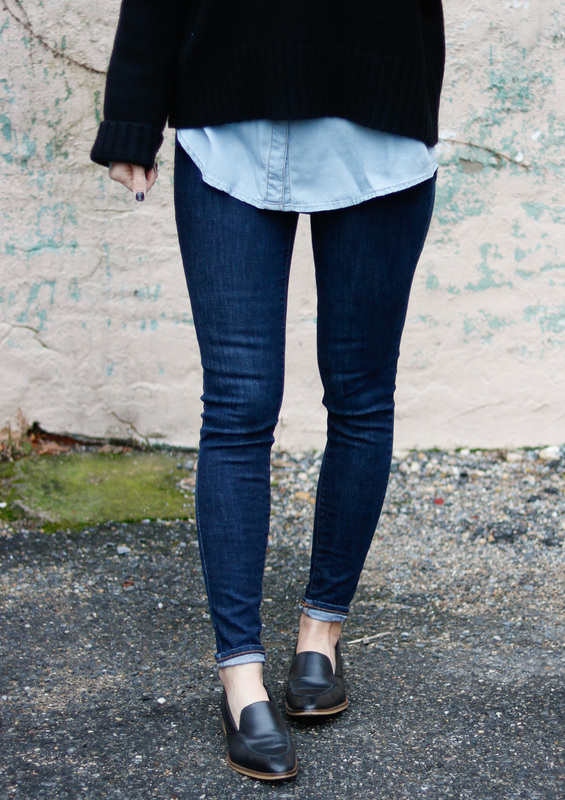 Can’t go wrong with two classics: black + blue! Love this look! Sounds like you had a fun weekend! Up in the Air is SO cute! A Downing family favorite! Loved it too! Even with the curve ball ending! Can I just steal this outfit?! …. Hope that doesn’t sound creepy. I absolutely LOVE oversized sweaters, especially being back down in DC, this weather goes up and down, but sweaters are the best no matter what. Such a cute outfit, both fashionable and looks super comfy! haha thanks Janie! 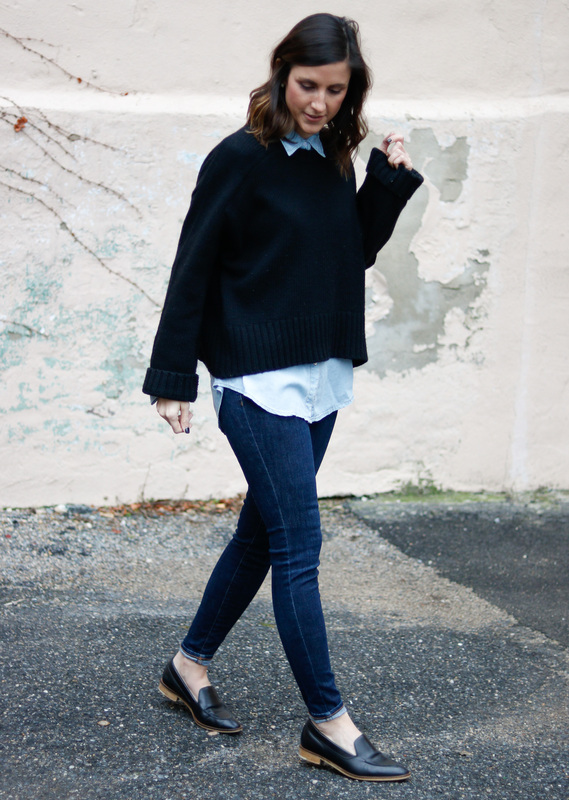 I have wayyyy too many sweaters currently in my closet … They’re the best!